We all need a push in the right direction. Every zodiac sign has its flaws, but we also all have the ability to learn and grow. Sometimes life can get us down and into places we never meant to be, but that’s when you need that little push to get you back and going in the right direction. We’re all a little different, and we all have ways of dealing when life gets us down, but if you look to the stars for inspiration and guidance, you’ll see that there’s something out there that can motivate each and every one of us. It’s widely believed that mantras, which are short sayings or chants, help us not only focus on but believe in our goals. Through the magnetic power of attraction, which states that like attracts like, the mantras we repeat will attract and invite what we want in our life. It might sound unbelievable, but if you can convince yourself of something, the stars will align. Say one (or more) of these mantras over and over throughout the day, or in a time of need. You could be in the shower, driving, meditating or really doing anything. The nice thing about mantras is that you can fit them in at just about any time of day since they don’t disrupt your actions. 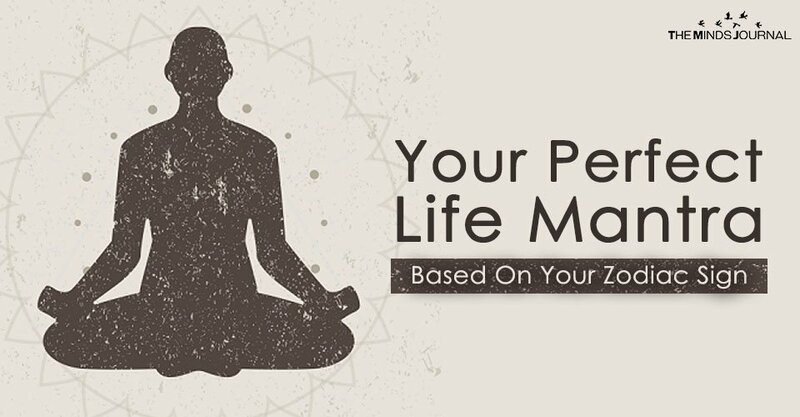 Take a look below at your zodiac sign to see which life mantra suits you best, so you can get back on track. You can be bossy, and have trouble letting other take the lead. Going with the flow is a no-go, and this can get overwhelming, since not everything is within your control. Which stinks, because if it WAS, the world would be such a great place, right? 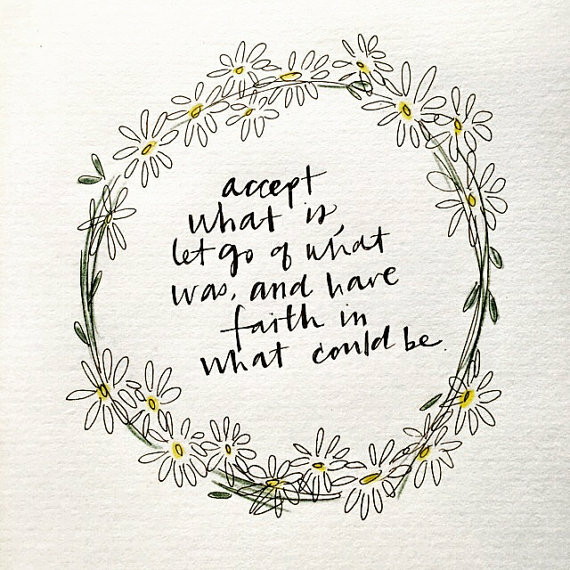 Repeat after me: accept what is, let go of what was, and have faith in what could be. You’re likely no stranger to self-indulgences or feeling much too lazy to feel motivated. You’re definitely a hard worker, but you’ve got to start the engines to get the machine to work. If it were up to you, you would achieve all your goals with as little effort as possible. Isn’t that what everyone wants? 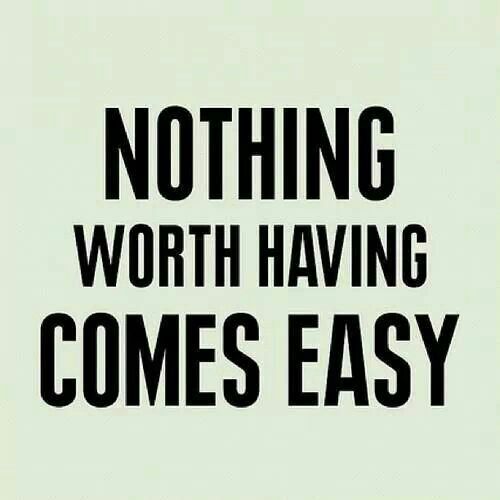 Repeat after me: nothing worth having comes easy. As a grand socialite, you can have a natural desire to please and relate to everyone in one way or another. But doing this can make you seem two-faced, and admittedly, maybe you’ve reluctantly noticed this already. 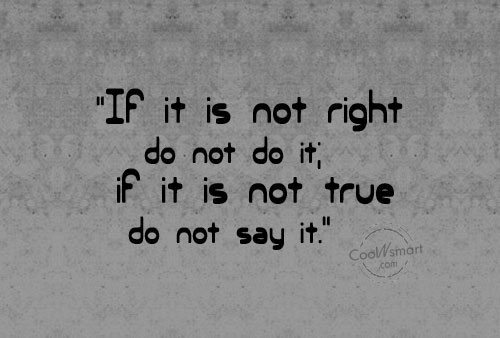 Repeat after me: If it is not right, do not do it, if it not true, do not say it. You’re very in touch with yourself and the way you feel. This can throw you (and everyone around you) for quite the whirlwind. This can lead to a sense of irrationality and impulsive, which takes you from that center you need to keep hold of. 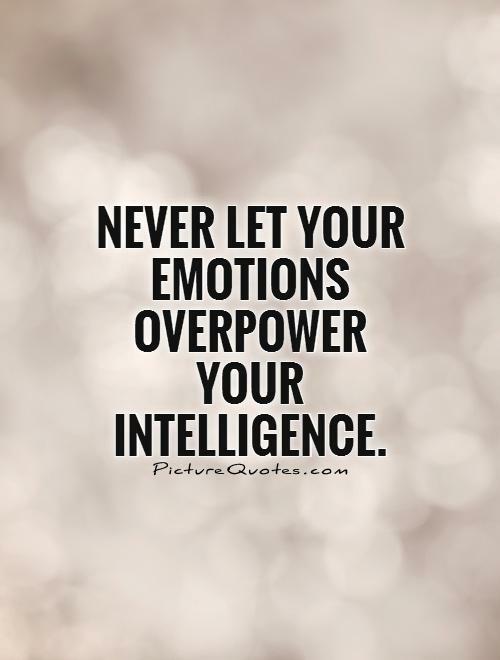 Repeat after me: Never let your emotions overpower your intelligence. Lexii Kelly look at yours! I know, I know, I know…believe me, I’ve thought about it! } ) (Pisces) } ).